pillars of the family life of immigrants and beneficiaries of international protection. In this perspective, in order to promote and protect family unity, the inclusion at domestic level of specific and adequate legislative measures aimed to ensure reunion with family members must be made a priority. Moving from theory to practice, unfortunately, a quick overview of the domestic laws of several European States reveals the presence of restrictions that may constitute an obstacle to family reunion3, in spite of the widely recognised importance of the family unity goal. Content: 1. Introduction. – I. The United Nations Human Rights Framework and Family Reunification. 1. From the Declaration of Human Rights to the UN Covenants: The Indirect Protection of Family Reunification and the Practice of the UN Human Rights Committee. – 2. The UN Convention on the Rights of the Child. – II. Family reunification in the International legal instruments concerning refugees and migrants. – 1. The 1951 Geneva Convention relating to the Status of Refugees and the Standard-Setting Role of the UNHCR Executive Committee. Introductory Observations on the General Practice Concerning the Adoption of Conclusions and their Legal Impact. – 1.1. More Specifically: The Conclusions Relating to Family Reunification. – 2. The International Convention on the Protection of the Rights of All Migrants Workers and Members of their Families (ICMW). A Missed Opportunity to Strengthen the Protection of Family Reunification at Universal Level. – III. The Practice of other United Nations human Rights bodies. – 1. The Contribution of the Human Rights Council to the Promotion of Family Reunification and the Practice of the Special Rapporteur on the Human Rights of Migrants. – IV. Concluding Remarks. 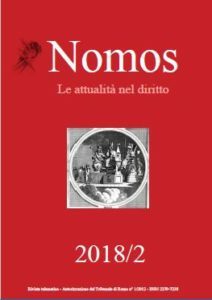 Questa voce è stata pubblicata in: Nomos, Saggi	e contrassegnata con Family reunification, International Law, Luigino Manca, Nomos 2/2018, Saggi. Contrassegna il Permalink.